This is an upscale Fort Collins neighborhood. It is a community in a secluded setting, in southeast Fort Collins near 1-25 and Windsor. Lake and mountain views abound in this upscale subdivision perfectly situated between Fort Collins, Windsor, and Centerra in Loveland. The subdivision is within walking distance to the Fossil Creek Reservoir which offers great walking and hiking opportunities in an abundance of open space with over 100 acres to wander. The majority of the homes are situated around two ponds in the community, which makes driving through the neighborhood a joy. The community amenities include miles of walking trails, a tennis court, basketball court and a large children’s play area. The lake encompasses almost 40 acres of water. It is stocked with bluegill, largemouth bass and hybrid grass carp, so a nice array of fish. During the warmer months, sailboats, kayaks, canoes and rowboats are a regular sight. You can go fishing right from the dock, in addition you can go swimming. The lowest priced homes start in the $800,000’s and go to $1,800,000 for a large home with almost 6000 square feet on .61 acres, designed by W. J. Frick. 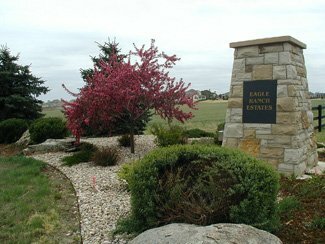 If you are in the Fort Collins real estate market for a high-end beautiful neighborhood Eagle Ranch Estates is the place for you. This is one of the most desired neighborhoods in Fort Collins. It has large lots with amazing custom build homes in the South East section of Fort Collins.